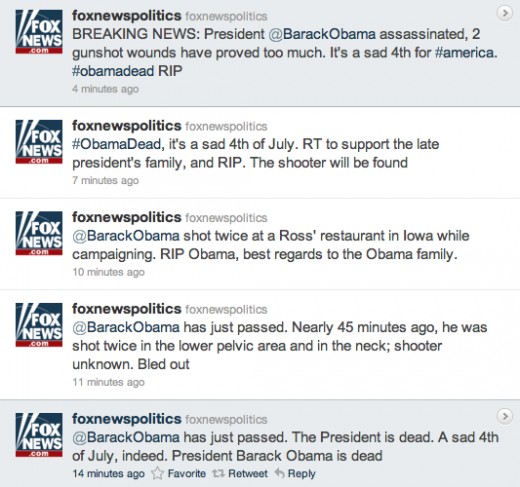 Fox News Politics Twitter account @foxnewspolitics hacked last night. The account's icon had been changed from the Fox News Politics logo and featured the following new description: "H4CK3D BY TH3 5CR1PT K1DD3S." Hacker's Personal account was @TheScriptKiddie on twitter, but After hack, Twitter has suspended his account. 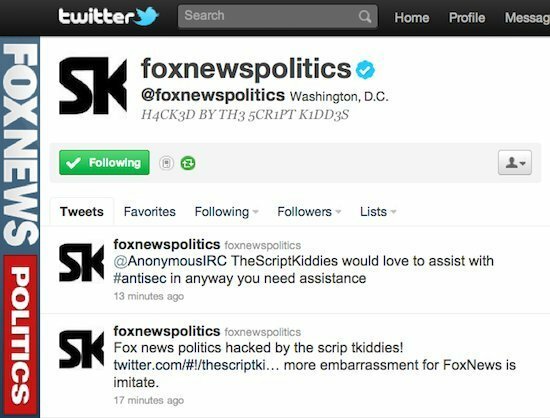 Then hacker made another announcement via Fox News Politics Twitter account that "twitter has suspended TheScriptKiddie please follow @ScriptKiddi3 for future releases. we have confirmed Fox News is aware of the attack." "We are a new group called The Script Kiddies. As i have stated in past interviews we do have connections to anonymous, however this does not represent them in anyway. personally I have been part of many hacks leading back to HBgary and #operationPyaback with anonymous. we will not go into details about how we have acquired Fox news twitter account. We do have several email accounts belonging to fox news. As far as our security i obviously can't go into details, but i have faith that the members of the script kiddies will remain hidden. We have no announced plans for future attacks, we have brainstormed several ideas. we will be contributing to #antisec in the future but we have found nothing of value within fox to add to the leaks.The updates about Obama are the result of boards script kiddies members after we found no information to leak to anonymous".